China’s largest peony producer — Heze, in East China’s Shandong province — will stage its 21st international peony festival from April 16 to May 10. More than 50 activities will be held during the event, including the opening ceremony, flower arrangements show, trade talks, painting exhibition, peony wedding ceremony and various art performances. 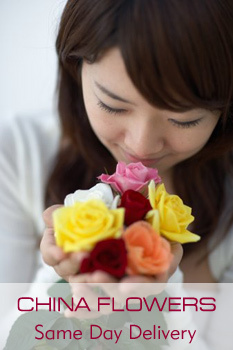 Heze has long been famous for peonies, the national flower of China, and began to hold festivals in 1992. 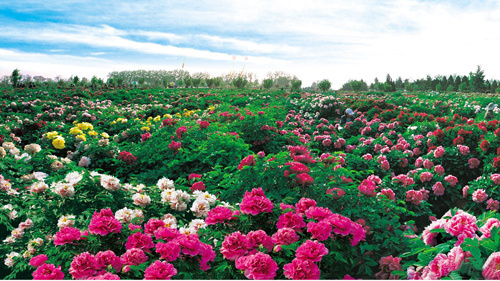 Heze mayor, Huang Xiuling, said the city currently cultivates an area of 8,000 hectares of peonies, which produce more than 10 million seedlings, 2 million potted flowers and 4 million cut flowers annually. The city has become a major base for peony production, observation, scientific research and trade. Its peony seedlings have been exported to more than 30 countries and regions, including Japan, the United States, France and the Netherlands. That must be just like heaven, 8,000 hectares of peonies – wow!